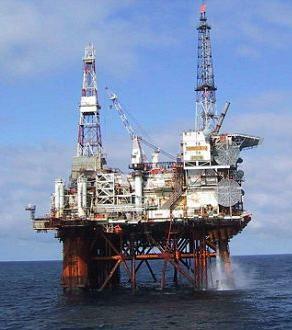 Encore oil have announced the biggest oil discovery the North Sea has witnessed for over a decade. The Catcher field could contain up to 300 million barrels of oil would make it the largest discovery in the North Sea since the one-billion barrel Buzzard field was found in 2001. The Catcher field could contain up to 300 million barrels of oil and would make it the largest discovery in the North Sea since the one-billion barrel Buzzard field was found in 2001. EnCore said it plans to drill one further well to see if there are further reserves in the field, which will take up to another 15 days. Encore’s chief executive Alan Booth said the company’s Catcher drilling programme had so far delivered a ‘truly exceptional result’. Shares in EnCore, which owns 15% of the project, shot up 49% to 53¼p. Nautical Petroleum, also owning 15%, gained 41p to 180p, while Premier Oil (35%) rose 104p to 1286p. The other owners are German oil group Wintershall (20%) and Lord Rothschild’s oil interests Agora Oil & Gas (15%).